Over the top religious types can get on my nerves, including atheists. Yes I meant to imply that atheists are a religious type. I really don't care what your personal beliefs are. If they bring happiness and a sense of purpose to you, great. But there is no need to rub them in my face. Now the above example is really not that big of a deal for me. It's not like the owner of the car is knocking on my door to talk to me about how there is no Jesus. Or asking me to sign a petition to have some religious symbol removed from public view because they find it offensive to their beliefs. 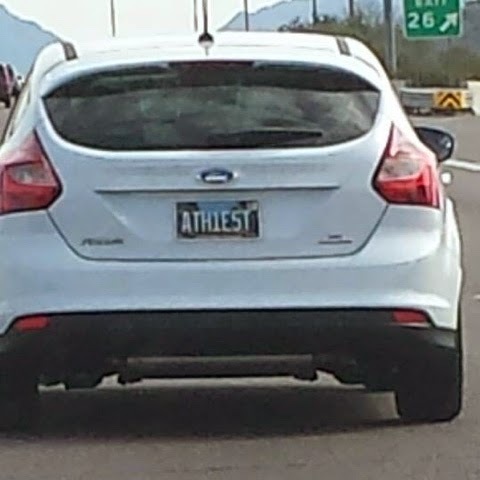 But it really is amusing that someone would spend the time and money for vanity plates to show all drivers around them that they don't believe in God. And that they are bad at spelling.